A dark force, shrouded in twilight, has invaded the vast land of Hyrule. To restore light to the world, team up with the mysterious creature Midna and embrace the darkness to transform into a divine wolf. Fight through labyrinthine dungeons, survive puzzling traps and meet a cast of characters you’ll never forget in this legendary Zelda™ adventure. The Legend of Zelda™: Twilight Princess is a critically acclaimed masterpiece, set in a massive world bursting with life—but also shadow. A dark figure from the Twilight Realm has invaded the world of light. As Link™, a farmhand turned cursed beast, join forces with the impish Midna and trusted (albeit unusual) allies to survive a quest that'll take you to the farthest corners of Hyrule and beyond… to the Twilight Realm. This emotional adventure is now on the Wii U™ console with improved visuals and controls—and new challenges. Choose Hero Mode to take 2x normal damage, or tap the Wolf Link amiibo™ figure to unlock the tough Cave of Shadows. 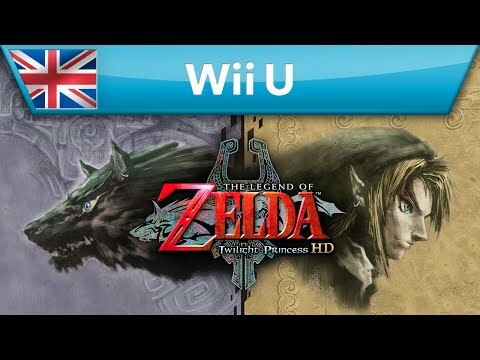 The Legend of Zelda: Twilight Princess HD was released on Wii U 1144d ago in the US and the UK. Based on 4 The Legend of Zelda: Twilight Princess HD reviews, The Legend of Zelda: Twilight Princess HD gets an average review score of 84. Zelda: Twilight Princess HD's graphics can look flat at times, but it's still a great chapter in the series. Twilight Princess HD is about as straightforward as remakes come, but it finally presents that picture with exacting clarity, warts and all. Its opening can be tedious, but it’s worth enduring so you can experience such a magical world.